WFL’s Eamonn Dillon scored a goal in Dublin’s All-Ireland SHC Round 1 Qualifier last Saturday but it wasn’t enough as Cork advance to the next round! Alan Cadogan scored 1-05 as Cork advanced following a stiff test from 14-man Dublin at Páirc Uí Rinn. 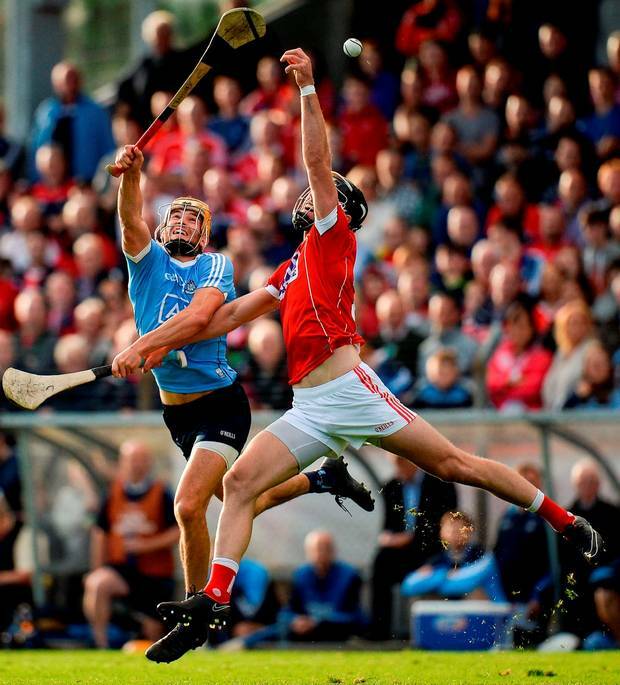 The Rebels progressed on a three-point winning margin in the end, the Dubs having played the final 40-plus minutes of the game with 14 men following a second booking for wing-back Chris Crummey coming up to half-time. Eamonn’s goal helped draw the sides level with just a few minutes remaining but Cork pushed on in the final moments to progress. Cork: A Nash; M Ellis, D Cahalane, K Burke; A Walsh, C Joyce, C Murphy; W Egan, B Cooper; L O’Farrell, S Harnedy, J Cronin (Lisgoold); A Cadogan, P Horgan, C Lehane. Subs: C O’Sullivan for Murphy (half-time), D Kearney for Cronin (46), B Lawton for Egan (49), S Kingston for Harnedy (67). Scorers: P Horgan 0-12 (0-08f), A Cadogan 1-05, C Lehane 0-03, D Kearney 0-02, W Egan, B Cooper, L O’Farrell, B Lawton 0-01 each. Dublin: G Maguire; E O’Donnell, C O’Callaghan, J Madden; C Crummey, L Rushe, S Barrett; J McCaffrey, N McMorrow; D Treacy, R O’Dwyer, E Dillon; P Ryan, C Bennett, M Schutte. Subs: N Corcoran for Madden (half-time), S Treacy for Ryan (44), D O’Connell for McCaffrey (46), F McGibb for Schutte (62), D Plunkett for Bennett (67). Scorers: D Treacy 0-09 (0-07f, 0-01 65), C Bennett, P Ryan (0-04f) 0-04 each, E Dillon 1-00, S Barrett, N McMorrow 0-02 each, J McCaffrey, C Crummey 0-01 each.